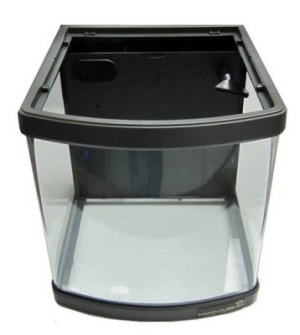 6 Gallon All LED Aquarium 13W Ships Free! Introducing the brand new generation! 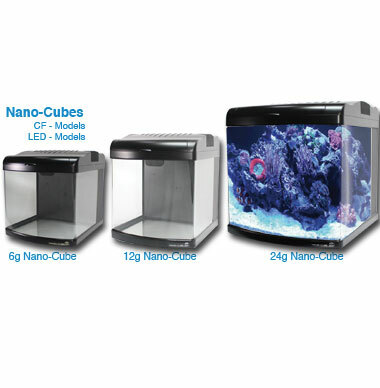 Nano-cubes are patented curved glass, which allow for a unique and dynamic panoramic view of your aquarium and all of its inhabitants. 6 Gallon Glass Cube is the leader in the next generation Nano Cubes. 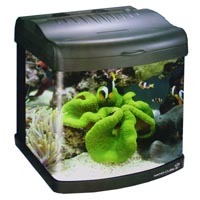 Each of the patented curved glass fish tanks offers for a unique and dynamic panoramic view of your aquarium and all saltwater corals and fish. 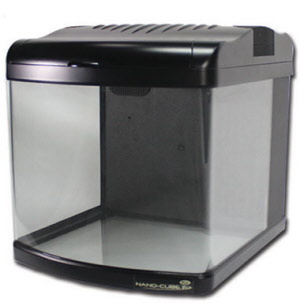 Being an all-inclusive biotopic system for aquatic denizens, the Nano Cube has subtly concealed in the back side of the tank a small yet powerful and effective 3 stage filtration chamber system. The first chamber includes an intake with a protective screen. 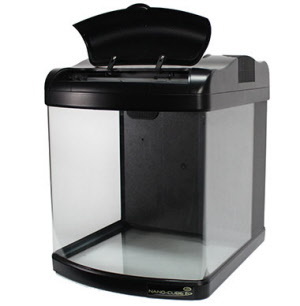 The second chamber is empty and can be utilized with the included filter media or any other media you need. The third chamber consists of a quiet and efficient 106 GPH return pump which directs water back into the display area of the Nano Cube via a directional nozzle. Mechanical/Biological - Sponge filter which will trap detritus and particulate matter. Sponges are also often a breeding ground for beneficial in-fauna like copepods as well as denitrifying bacteria. Chemical - Activated Carbon is included, which aids in absorbing organic and chemical compounds such as medication from the water. Biological - Ceramic Rings and Plastic Bio-Media is also included, these too serve as breeding grounds for beneficial bacteria that assist in breaking down harmful organics such as ammonia and nitrites. Despite utilizing the much cooler running LED lighting system, the next generation Nano Cubes still include (2) 50x50mm cooling fans within the canopy to aid in cooling and aeration of the electrical equipment in the canopy to prevent damage via humidity build up. 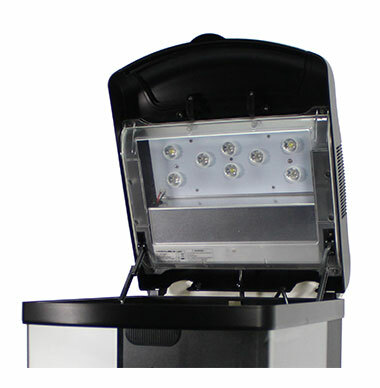 While only concealing 6 LED's of approximately 1.3 Watts each (3: 10,000k and 3: 20,000k). These high intensity LED diodes put out three times the amount of an equivalent power compact fluorescent system (with the assist of an integrated reflector) while still remaining cool to the touch. This means less evaporation, and less chance for a catastrophic salinity change if utilizing the Nano Cube for brackish or marine tanks. The canopy still houses built in cooling fans that draw air out of the canopy to assist in dealing with heat generated by the tanks, as well as managing moisture. The LED's are not only more efficient but cost saving as well, utilizing an electronic ballast and a lifespan of 50,000 hours before diminishing in output compared to about 3,000 hours with a power compact system. 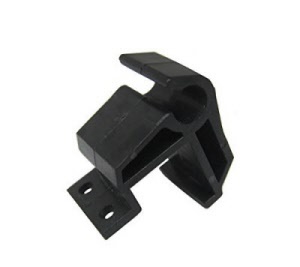 CE Approved Manufactured with the highest quality components for trouble free performance. Power Supply: AC110V-60Hz Pump (included): 106 GPH Lift: 1.3mShips free in the continental USA! 6 G Nano Cube DX. It came in like a storm lighting the aquarium industry on fire. A reef aquarium that had it all.